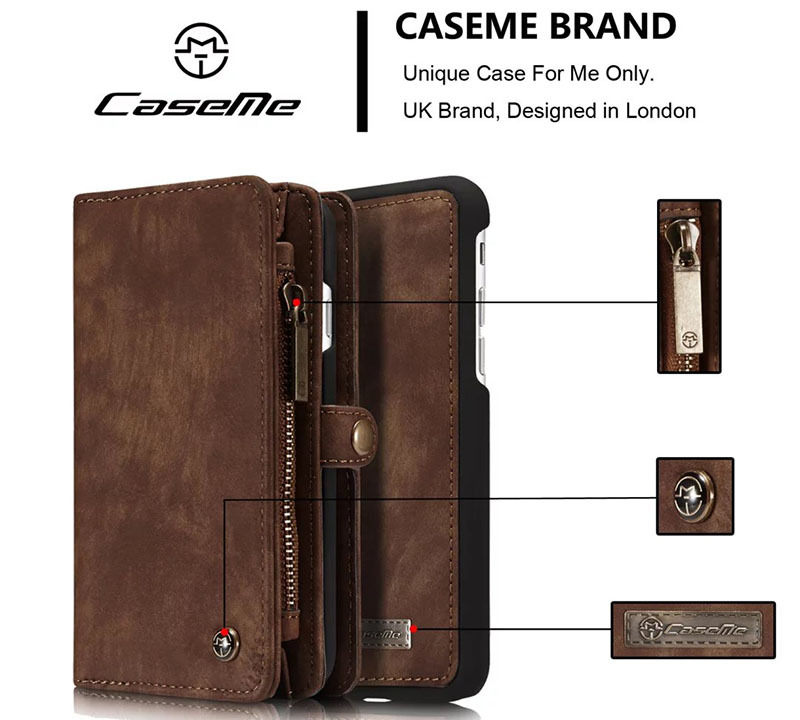 Free Shipping, Genuine Original, Buy CaseMe 008 iPhone 7 Magnetic Detachable 2 in 1 Multi-functional Retro Wallet Case at Casemecase.com. 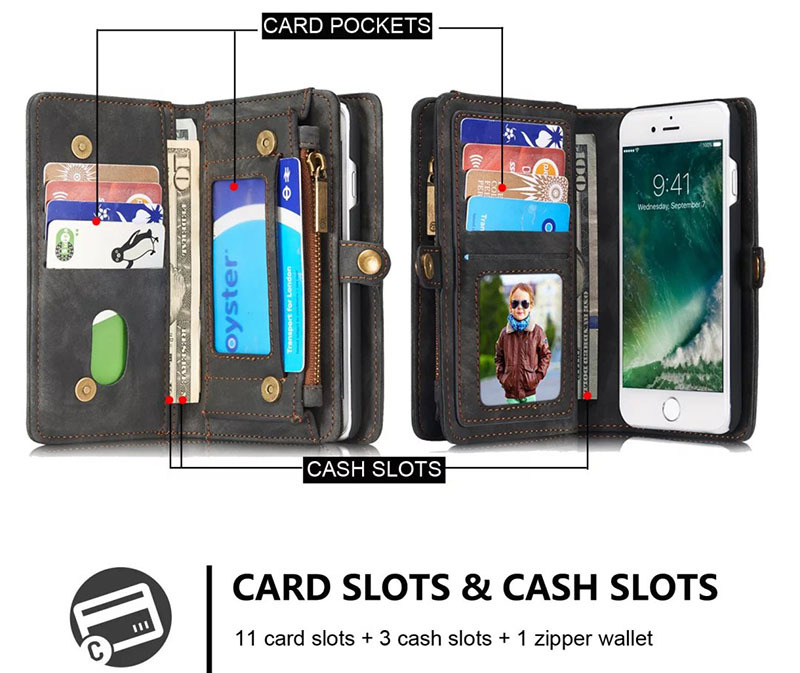 11 Card Slots + 2 Currency Pocket + 1 Zipper Coin Pouch. 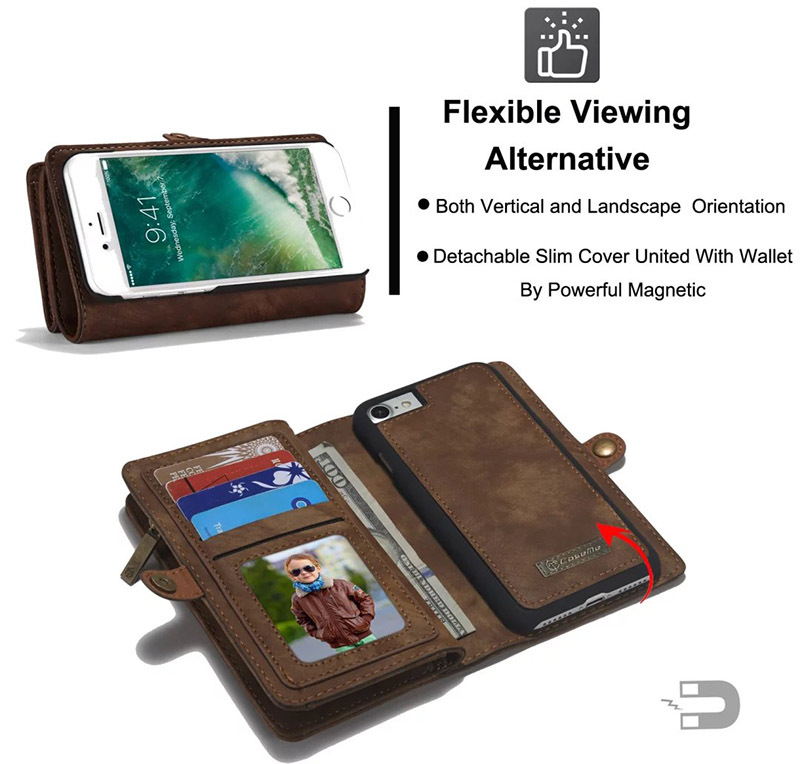 This is the best wallet phone combo out there because of the magnetic release and configurability of the way you can use it as a stand in portrait and landscape. I’m very happy with my new case. It’s exacty as represented, sturdy, made with quality material, and was sent quickly. This product is great I love it. 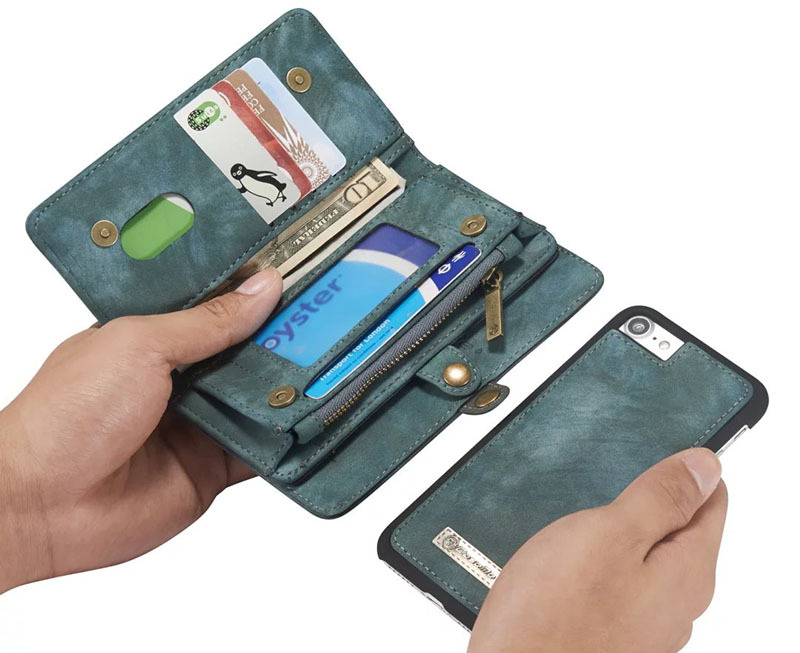 Very convenient wallet/ phone holder. I love it! I love this case and so far functions really, really well. I haven’t used it as a wallet yet but it looks like it will work just fine. I use this when I want to travel light. I add my drivers license and a credit card and away I go. The phone is protected. Looks great. 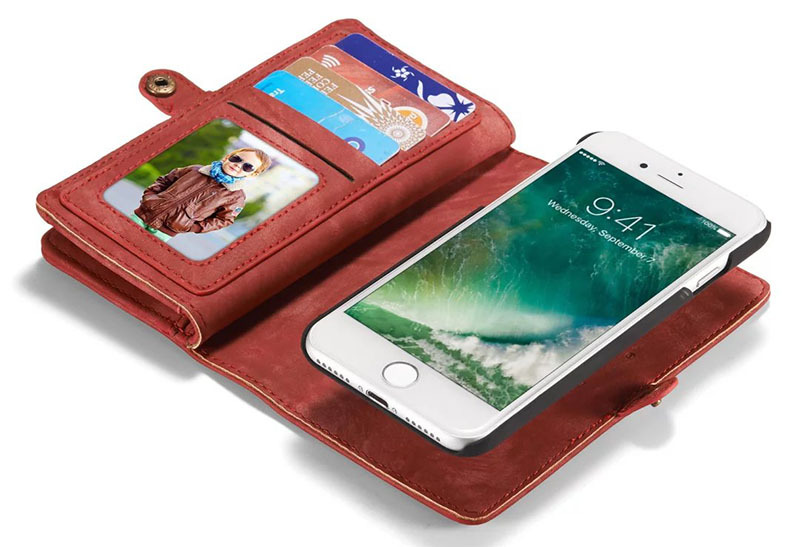 Great value, I will be able to carry my license and other cards in the same wallet with my phone. 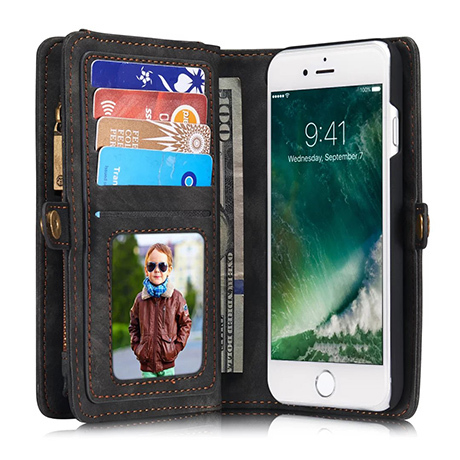 Excellent wallet case for my iPhone 7. I had previously used a Pad & Quill case which I also liked but it was he’d closed with an elastic strap which over time became worn. The magnetic latch on this case works really well. The finish quality is also excellent and while I have only had this for a couple of weeks there do not appear to be any wear points. 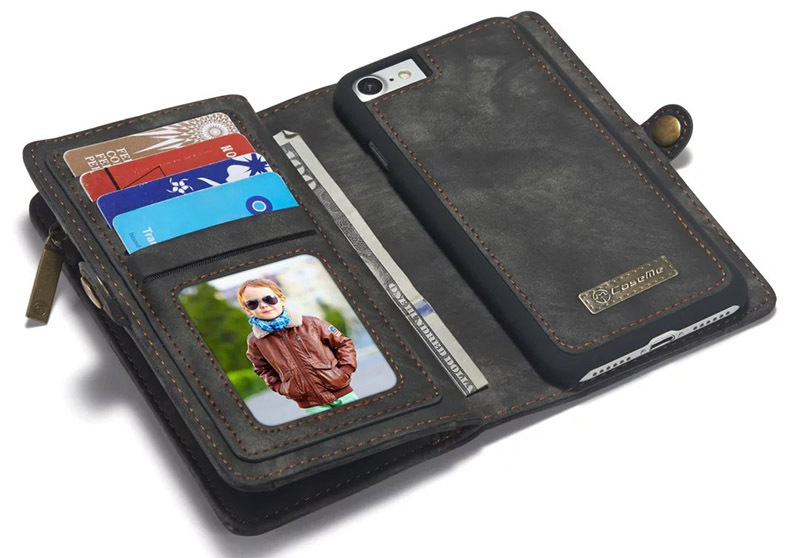 One killer feature is that the iPhone fits into the plastic housing which is then attached magnetically to the wallet. 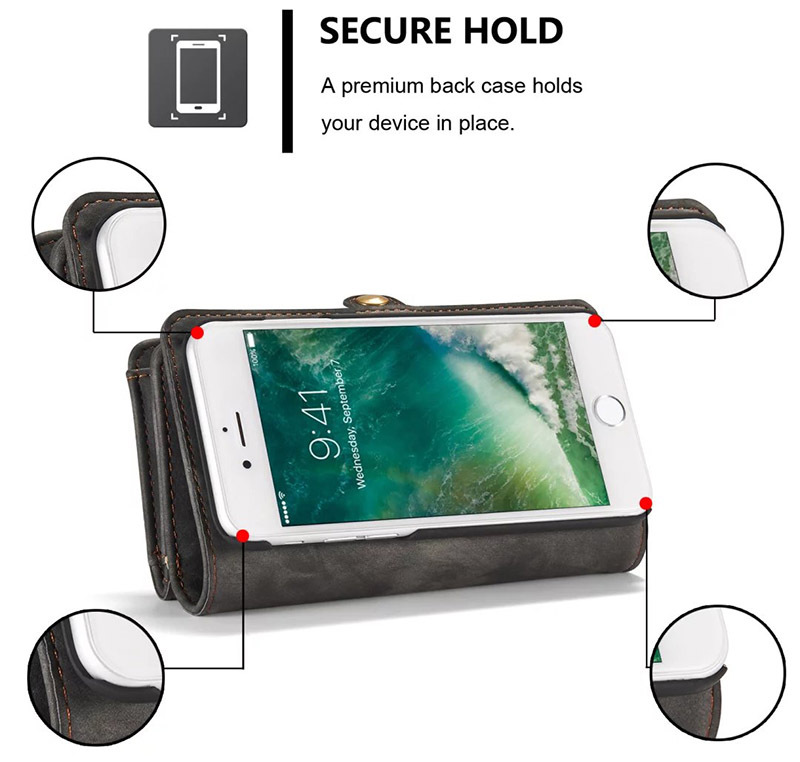 It holds it in place firmly but if you need to remove the phone you just pull it away. I can easily use accessories by doing this or even attach to a car mount for long trips. It really is a great feature. I have the ability to store my pertinent cards and ID. 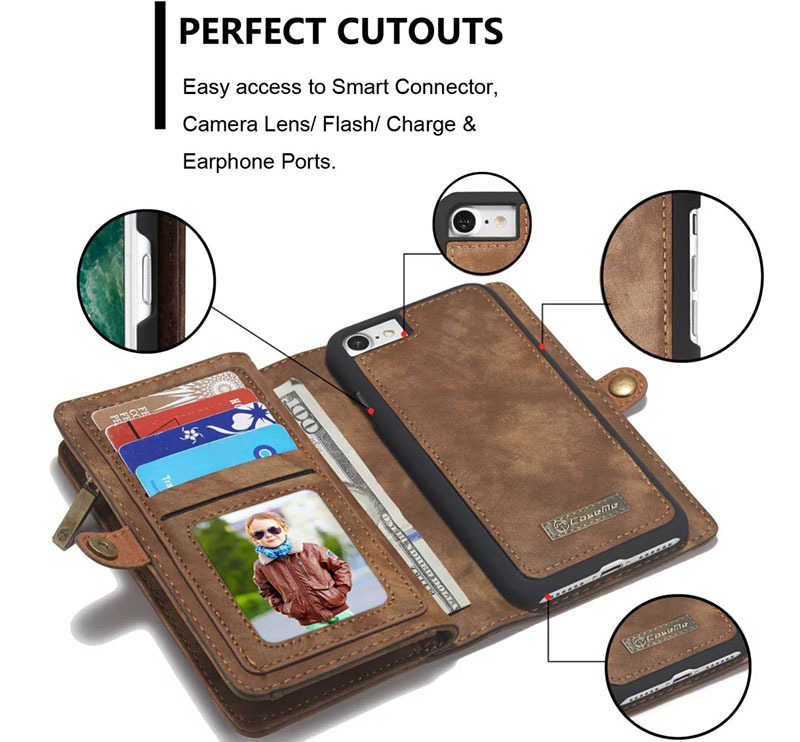 Now I can easily remove my phone and walk around with just the phone alone without having to struggle with pulling it out of the case and having to worry about damaging the phone or the case. 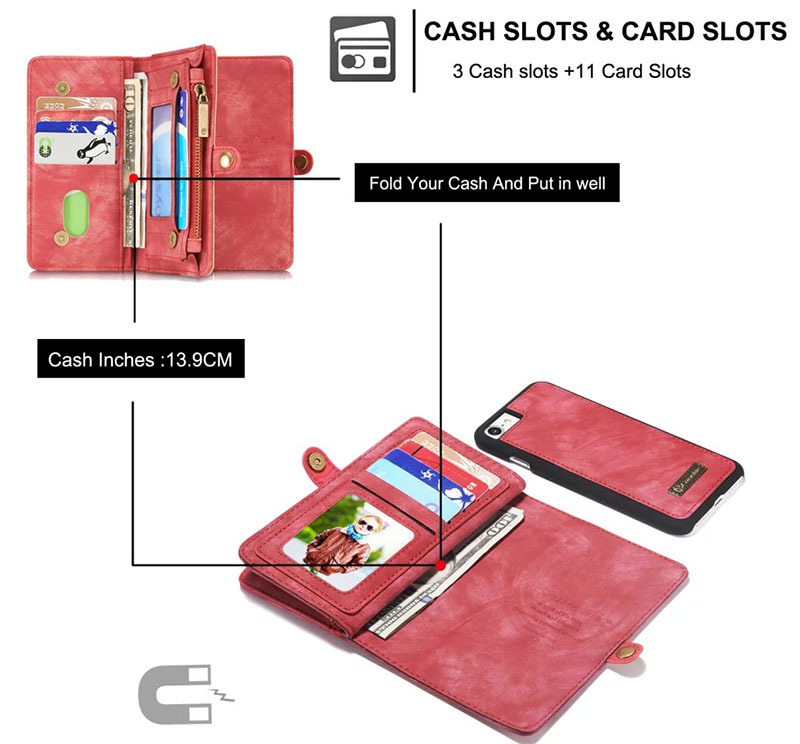 If you are looking to be able to hold 5 cards and your ID along with a little cash or one additional card while being able to easily separate your phone from the case then this if for you. For the price the quality is exceptional. This product is amazing. It fits all my money and cards. My iPhone 7 fits perfectly in the case part. 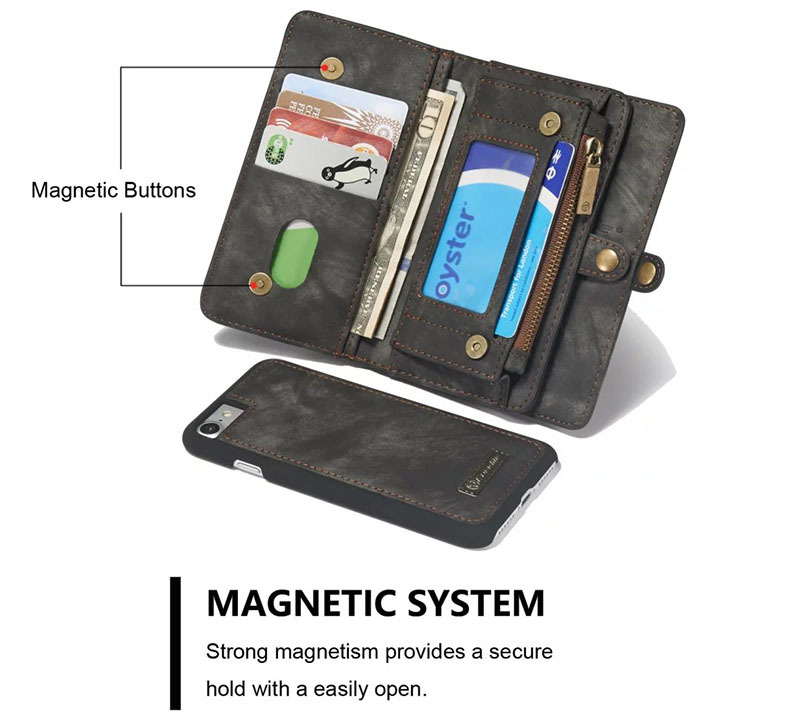 The magnetic attachment is very strong and my phone never falls out. I am very happy with this product. The case came very quickly. I like it very much. I have no problems with the phone falling out it does not allow. Holds a lot of cards. Very nice. The plastic piece that connects the iphone to the case is magnetic. 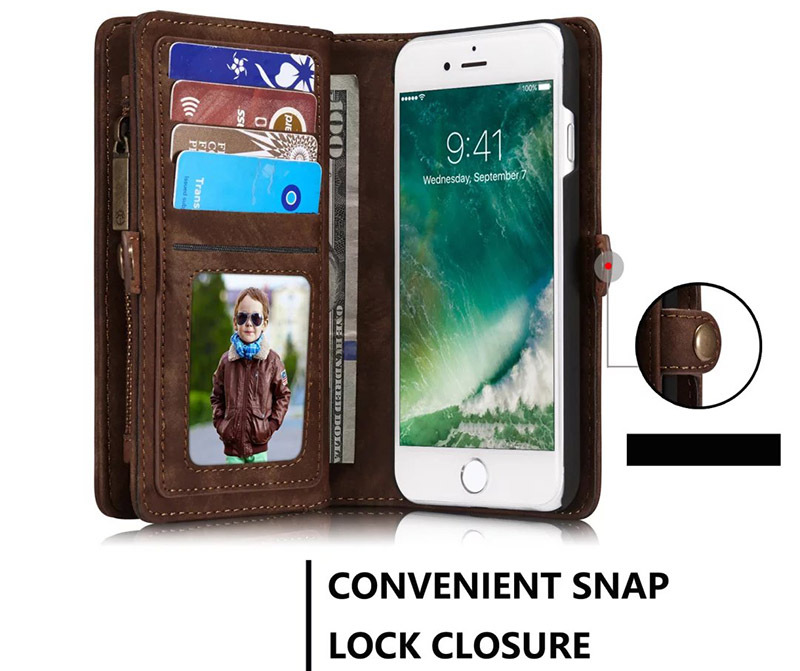 This allows your phone to easily be taken off out of the wallet/purse without removing it from the plastic cover every time. 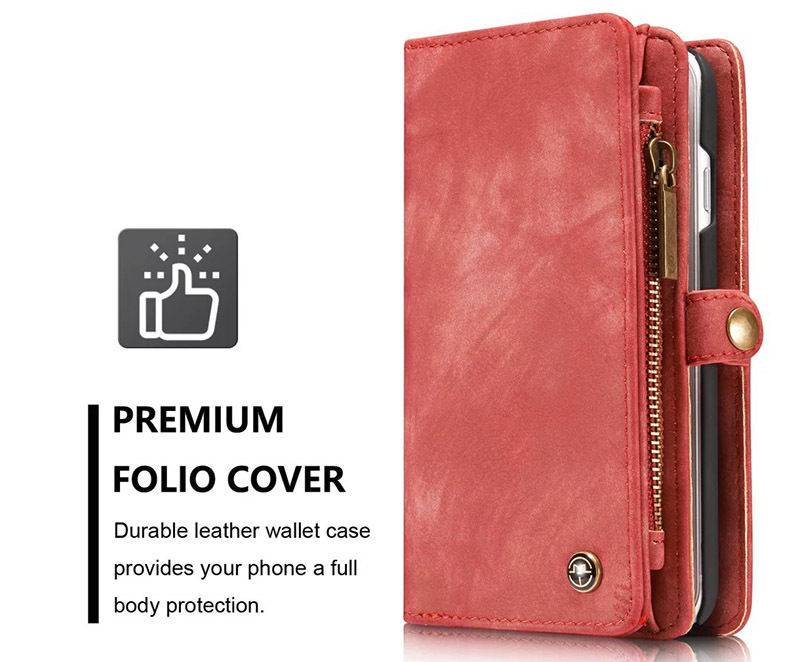 It is a wonderful iPhone 7 case. I have had similar cases, but this one is different. 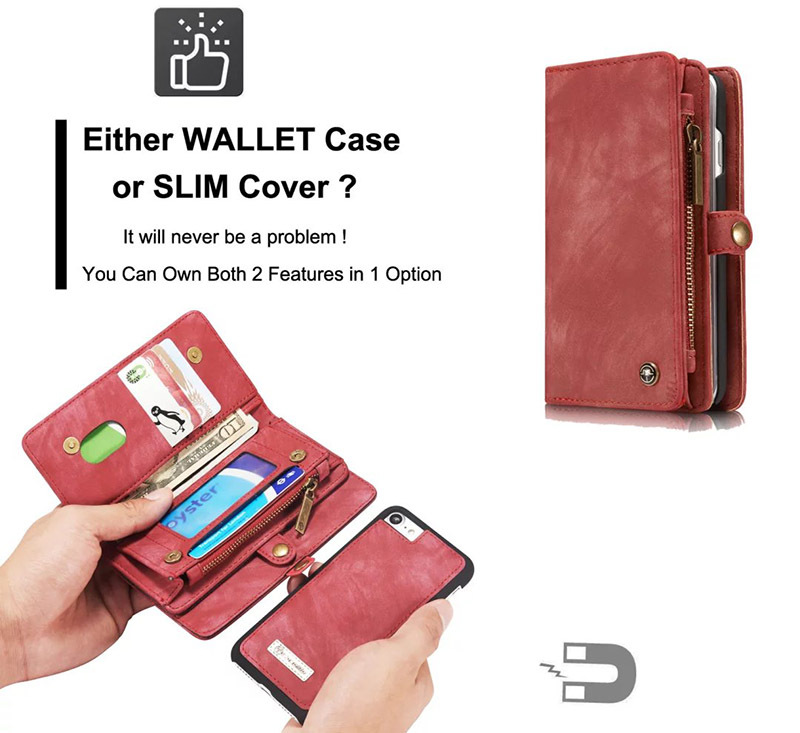 You know how hard it is to insert phone, with similar cases? Hard to put in and harder to take out. 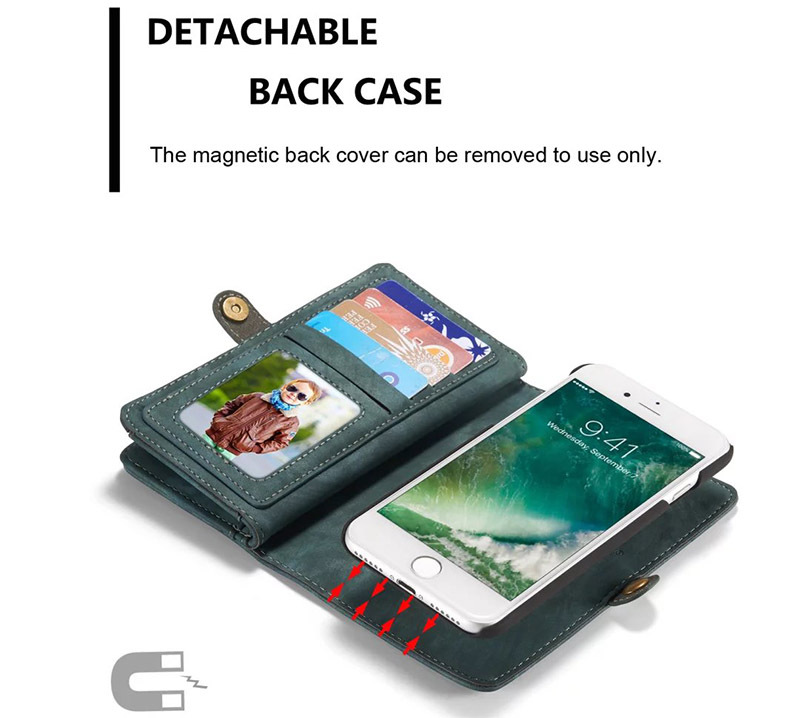 This case has a magnetic case, that holds the phone in place. Put it in the case and lay it on Taking it in and out is a snap. Love it! 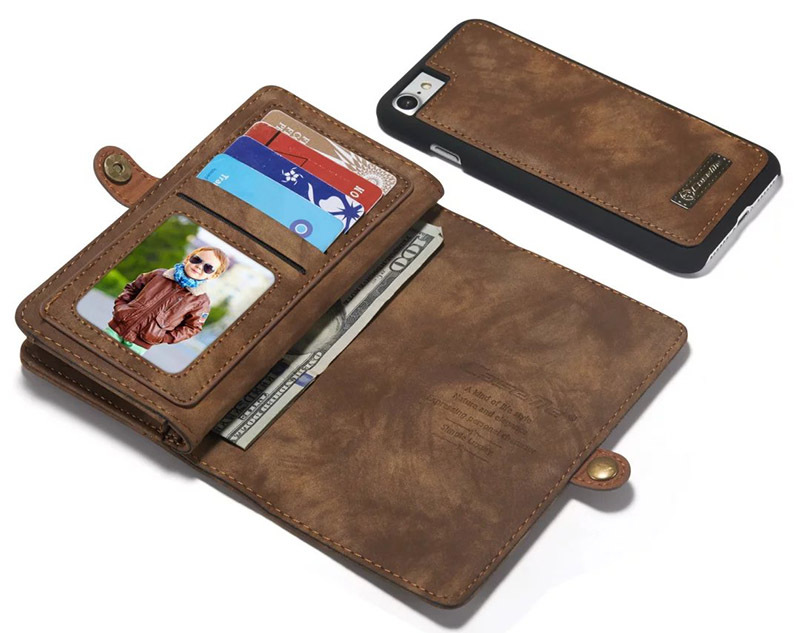 As good a phone case as you will get for the price. 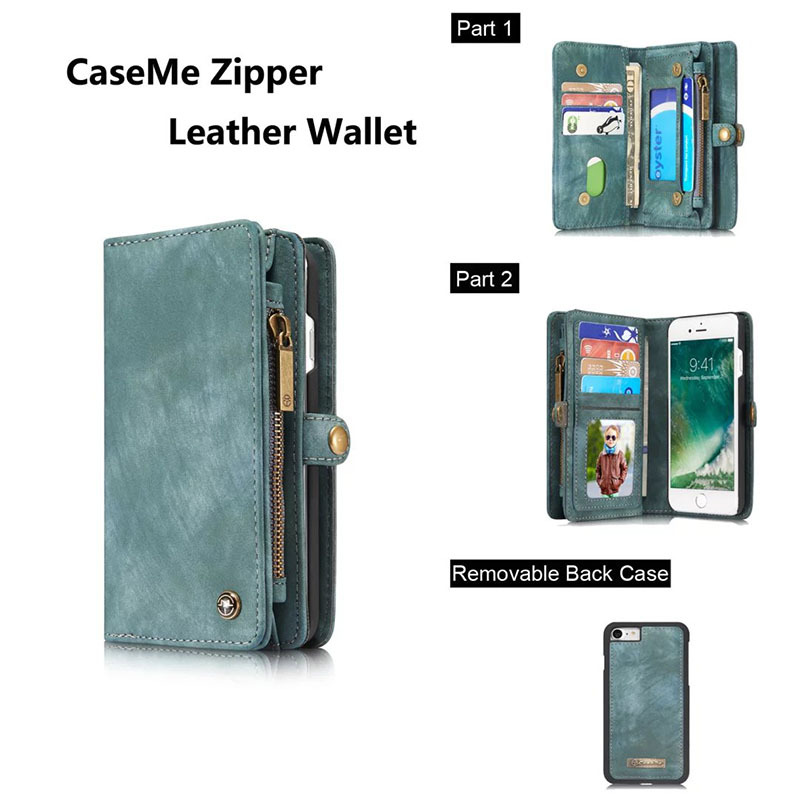 I also liked the idea of the magnetic back case that holds it in place. Very happy with my purchase. Works great. 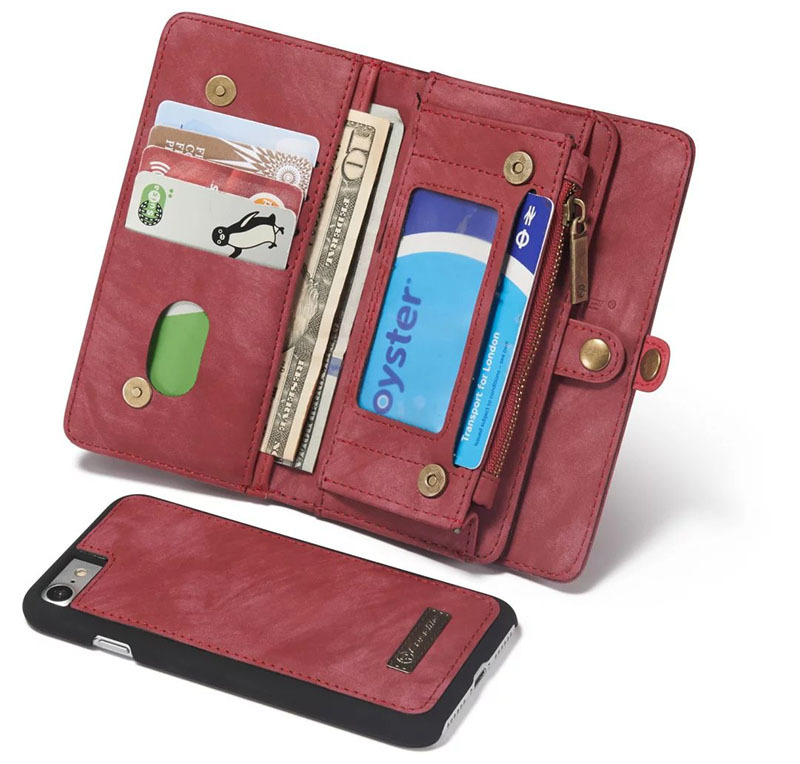 I’ve gotten lots of compliments on the soft feel and look of this case.